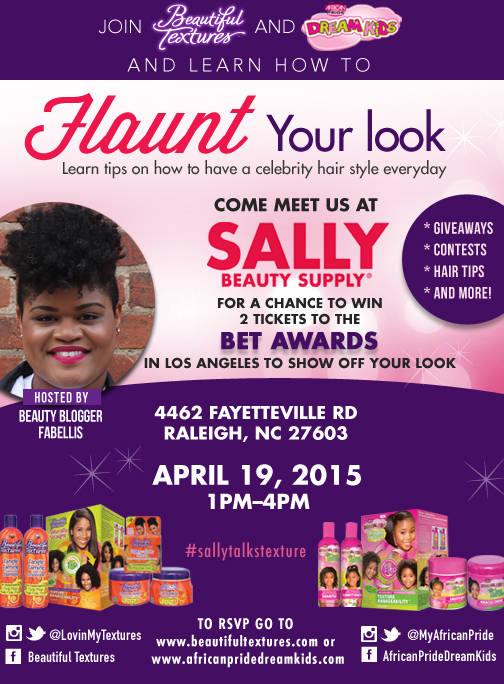 Join Beautiful Textures, Dream Kids and I at Sally Beauty Supply this Sunday, April 19, from 1-4 p.m. at 4462 Fayetteville Road in Raleigh, North Carolina. We'll talk about tips on how to achieve celebrity hair everyday, spring hairstyles, vacation hair and you can win giveaways. Plus, you can enter to win an all expense paid trip for two to the BET Awards in Los Angeles! To RSVP for Sunday's free event, click here. As I mentioned earlier, one topic we'll discuss on Sunday is easy, on-the-go vacation hairstyles. One of my favorite vacation hairstyles is two strand twists. 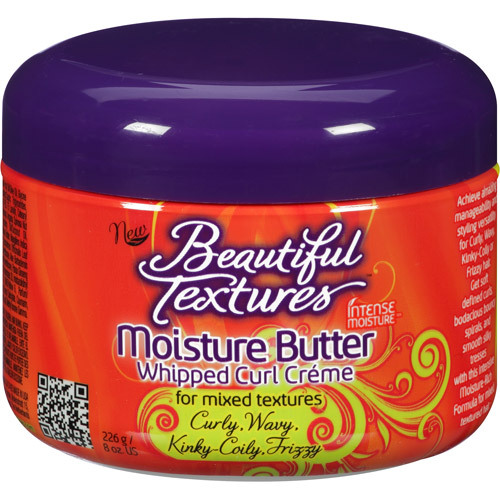 Beautiful Textures Moisture Butter is perfect for moisturized, defined twists and twist outs. Check out my review of the Beautiful Textures Moisture Butter here. 2. To protect my hair, sleep with a satin bonnet. When you're ready to take down your twists, apply oil to your finger tips and separate. Each morning, you can fluff with a hair pick and apply moisturizer if needed. 3. As your twistout gets old, you can take bobby pins and pin up or use a head wrap to make an updo. What vacation hair tips will you be sharing at Sunday's event? Don't forget to RSVP here.